Di Buu Restaurant is a famous & high-class address that is known by many gourmets for special Chinese dishes such as roasted duck, Hong Kong pigeon, hotpot ... Located in the center of District I, luxurious design, bold Asian identity is also one of Di Buu's attractions. 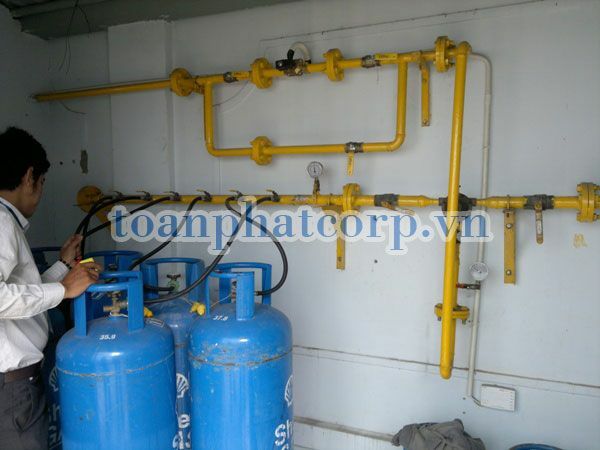 Design of industrial gas system for Di Buu is one of the items undertaken by Toan Phat. Toan Phat is proud to be a professional contractor for construction works of gas storages, central gas systems, industrial Gas systems for many buildings, supermarkets, restaurants, hotels, schools, hospitals Great in Ho Chi Minh City & the whole country.